How do you promote my app? We run our Android app promotion network in the most efficient way possible. Our self-serve dashboard makes it possible to offer the most cost-efficient app installs instead of spending money on expensive account managers. For as little as 5 cents per install, you can acquire new users in mature and emerging markets. 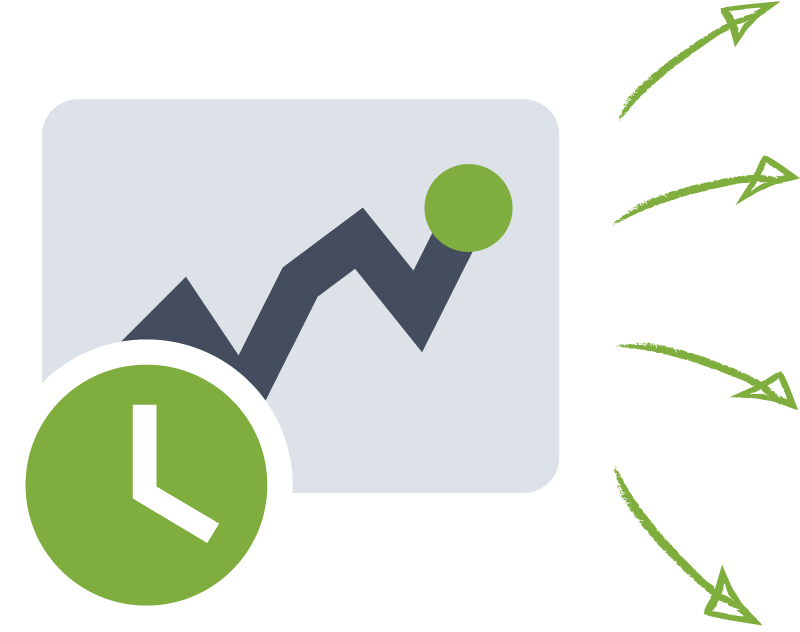 With the AppBrain bid optimizer, you can set the optimal cost per install (CPI) bid price for your intended app promotion campaign volume and budget. 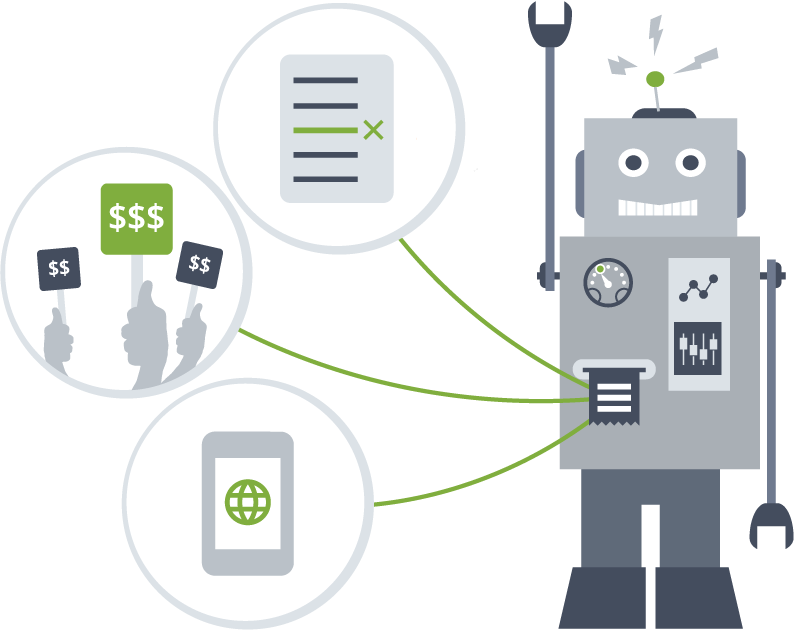 This allows you to keep control of the budget of your Android app marketing efforts. Our fraud detection algorithms guarantee the quality of our traffic. We promote your Android game or app in a way that doesn't incentivize the user, ensuring high retention. After signing up for our dashboard, your user acquisition campaign can be up and running within a couple of minutes. Our system generates standardized creatives from your app's icon, title, and subtitle. Choose between wire transfer, credit card or PayPal. Our algorithms extend your Android app marketing campaign with internationalized titles and subtitles to convert even more users. We advertise your Android app or game on banners and app walls. We promote all apps and games on Google Play; this means that as a result of your Android app promotion campaign, the download number on Google Play increases. This may, in turn, lead to more organic app installs. The creative assets for your campaign are automatically generated from your app's Google Play icon and the title and subtitle you want to use. Our ad system ranks ads from different advertisers based on the cost-per-install bids and the conversion rate. If your app has a great conversion rate, then your Android app promotion campaign on AppBrain runs better. This means that the installs are cheaper, or that you get your installs faster. This also means that a well-optimized app store placement benefits your APpBrain campaign. If our users see an attractive page about your app in Google Play, the chance they install your app is higher, and you are rewarded by a lower cost-per-install. Therefore we recommend you to perform App Store Optimization (ASO) before you promote your Android app on AppBrain. 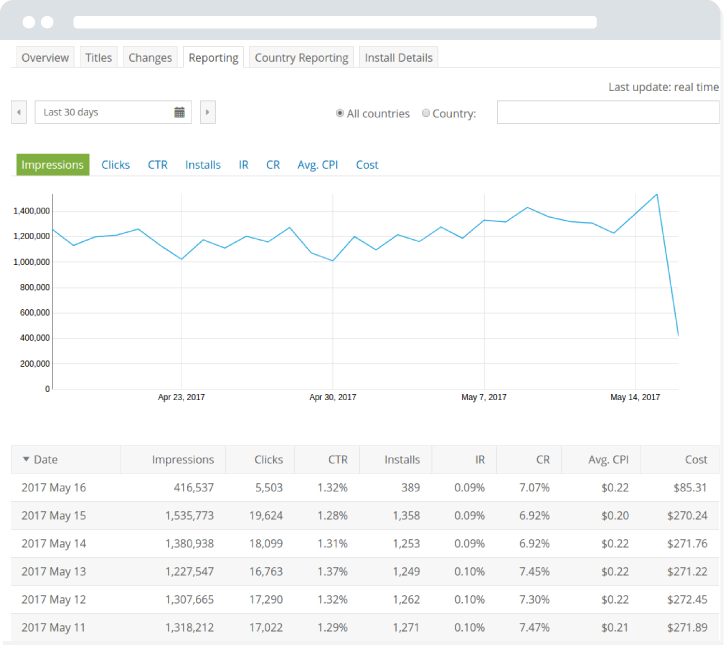 This real-time overview shows you how your advertising campaign is doing and if changes to bids and titles make a difference. The country report lets you compare the effectiveness and costs in different regions. 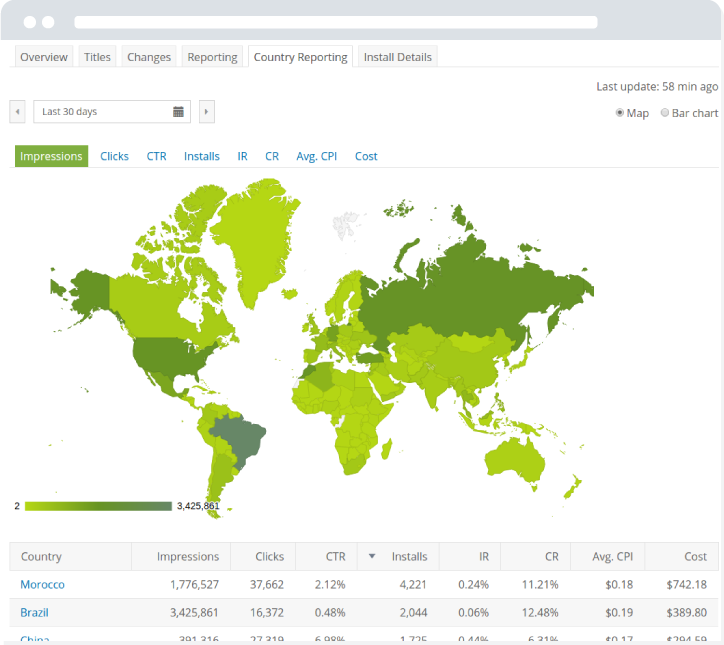 This overview shows all individual installs for your campaign with data like country, phone model and cost. We know you don't have the time to check your campaign ten times per day. Therefore we have smart algorithms that can optimize your campaign for you. Our targeting algorithms automatically learn which users are most likely to install your app. After your campaign has generated some initial installs, our algorithm promotes your app to the most engaged users. These users have more app launches and longer retention. We're aiming to be on par with organic installs. This ensures long-term success for your marketing efforts. Optionally, you can also allow AppBrain's algorithms to download additional titles and subtitles for your campaign's most important languages and disable titles that are not performing well. This can increase your conversion rates significantly. I can say that we've found AppBrain Promote easy to use and the best value for money out of all the promotional services we have tried so far. AppBrain is a reliable source of installs for me - with just the right level of flexibility needed and good value for money. AppBrain helped MobPartner to drive thousands of quality users to our Android CPI offers. We have always received very good feedback from our clients about the quality of the users AppBrain were bringing. They've always been a strategic partner for us, and we highly value this partnership. Do I have to pay if a user clicks on my app and does not install it? No, AppBrain uses pay-per-download pricing for your Android app promotion. You only pay for a successful download from the Android market and subsequent installation on the users' phone. No matter how many impressions or clicks this takes. How are the installs priced? You set the maximum amount you are willing to pay per install when you set up your app promotion campaign. An auction-based system then calculates what the install costs based on bids put in by other advertisers. The minimum bid for Android app promotion depends on the country and starts at $0.05 per install. We have a statistics page with the current CPI prices per country. How can I manage my budget? You can set the limit how much you are willing to spend per day on your campaign, with a $25 minimum. You can set the maximum cost per install. The minimum initial budget is $100. Do I need to modify my app for you to be able to promote it? Do I have to include an SDK into my app? Apart from setting up your campaign, our system doesn't require any work: no modifications, no SDKs. Please sign up with an AppBrain account and get access to the dashboard. From there you can start your campaign by clicking "Promote" next to one of your apps. How can I track the installs? First, you can track the installs on our real-time dashboard. Our installs are directly from the Google app store. Therefore the download numbers increase in the Google Play dashboard as well. If you have Google Analytics built into your app, the devices that support it send "appbrain" as the source and "promoted" as the medium. How will I be charged for my campaigns? All campaigns are charged from a budget that you need to pre-pay. On the dashboard, you can easily prepay budget by PayPal, or you can contact us if you prefer other options or need assistance. If you're not satisfied with our system, we refund you any remaining balance. What apps are eligible for the app promotion? An app can be promoted if it is free, has at least 4 ratings in the Android Market and an average rating of 3.25 or higher. By app we also mean game, so AppBrain is also an Android game promotion platform. A verification email to your official Google Play email gives you access to your account. (You may have to create an account using social media). This stops unwanted expenses and gives you the freedom to adjust or pause whenever you want. 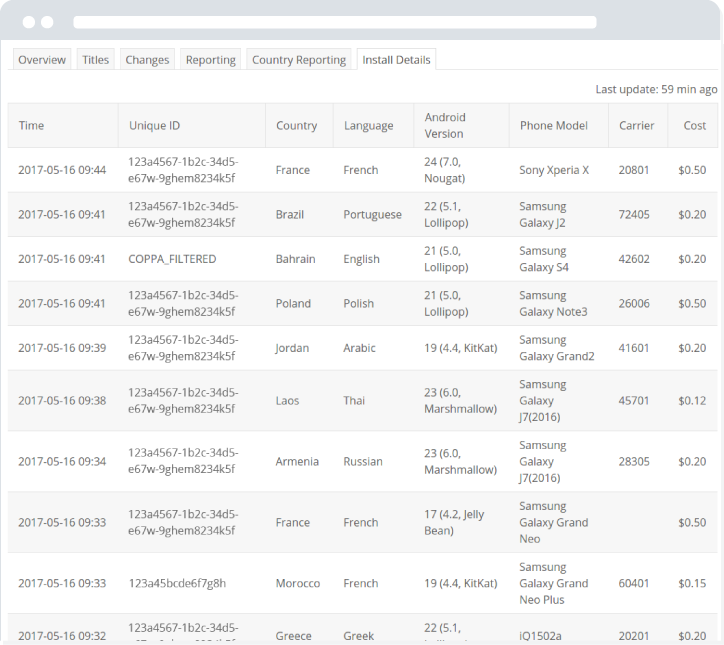 You can choose global targeting for maximum volume or a limited set of countries for focused app promotion. Any combination of countries is possible to promote your Android game or app. Start your campaign for as little as 100 dollars with PayPal or wire transfer, or pay what you use with your credit card.